Does everybody get to have a one on one session with the school psychologist? Or is that the school counselor? Can schools hire one person to do both of these jobs, or do they require different types of training? If you still do not have a clear understanding of what each of these professionals does, read the following article. You never know when you might need the help of a professional school counselor or school psychologist. A school counselor is part of the educational team a child in school will come in contact with. Apart from each student’s teachers, there are the auxiliary members of faculty who will not focus on teaching information from one specific field but rather on particular skills and abilities and making sure that they are best put to use in the future. A school counselor manages the academic career of students. Formerly known as guidance counselors, school counselors are now associated with academic success. They are the ones working to help students make the best of their transition from one phase of their education to another. Elementary school counselors deal with the adaptation problems of elementary school children and help them get used to the school routine, having a program and being around other children. Middle school counselors must assess the needs and development of 7th and 8th graders. High school counselors must work with students and help them choose the right college, prepare for admission and make sure that they are a good fit with the career they are getting ready to pursue. Credentials and certifications vary from country to country when it comes to school counselors. Some countries require special training, while others like China ask for no certification at all. In the U.S., a person needs to have a master’s degree in school counseling along with special training for each type of student (elementary, middle school or high school). Salaries vary from school to school. They can depend on how the school is funded, with private or public funding. The average salary of a school counselor was $43,690 in 2010. A school psychologist is a member of the student’s educational team, in charge of their proper adaptation and response to the school environment. Students are encouraged to talk to school psychologists when they face problems they cannot handle themselves, such as feeling overwhelmed with school tasks, having problems at home that result in the inability to study, being bullied in class, being unable to follow lessons in class and learn, and being unable to socialize and make friends with the fellow students. All issues that affect a child’s academic and personal life can be discussed with the school psychologist. This is a person who can successfully apply the principles of educational psychology, developmental psychology and behavioral analysis. They can assess a situation and give the proper advice. There are even cases when they can inform the proper authorities if they notice that a child is at risk or does not have proper living conditions at home. It is also the job of the school psychologist to discover cases of child abuse. These situations can be signaled by one of the child’s teachers or noticed by the psychologist. It is best that a school psychologist addresses such delicate issues in order not to make the child’s situation public, thus isolating them more from other children. 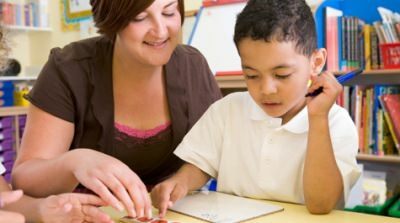 In order for a person to become a school psychologist, the training includes a master’s degree, a Certificate of Advanced Graduate Studies and a doctoral degree. In 2010, the average salary of a school psychologist was of $64,000 to $71,000, depending on the number of hours in the work contract. So what is the difference between a school counselor and school psychologist? School counselors are in charge of students’ academic careers, whereas school psychologists deal with real problems the students might have. Counselors must manage the entire school population, whereas the school psychologist only meets with at-risk students. The school counselor is assigned with overseeing the entire academic career of a child. They must analyze strengths and weaknesses and guide students toward the path best suited for them. The school psychologist, on the other hand, must intervene in case of problems in adapting, in the household or within the community. In these cases, they can work with the proper authorities, recommend treatment and prescribe medication. Both of these professionals play an important part in the development of a child in school. Regardless of whether it is about academic performance or an improvement in the life standard of the child on a personal level, these are the people intended to intervene. Teachers may also contribute and play similar parts, but since their responsibilities are limited to teaching the children specific things, they might have a limited understanding of a child’s abilities, judging from their performance in one class alone. The counselor can judge a child’s performance in all classes. The same goes for the psychologist, who can assess a child individually and know more about their background.